Carsten Troll received his diploma in Chemistry in 1988 from the University of Konstanz where he finished his PhD 1993 in the field of metalorganic chemistry with the focus on carbene and carbine complexes of Manganese. From 1994 to 1995, he did a postdoc as a Humboldt fellow at the University of Berkeley in the group of Prof. Peter Vollhardt. When he returned to Germany, he went to Berlin for another Postdoc in the group of Prof. Filippou and finally became a member of the group of Prof. Bernhard Rieger in Ulm. Starting with a stipend from BASF in 1997, he became lecturer and project leader in 1998 in Ulm and moved together with Prof. Rieger at the Technical University of Munich in 2007. 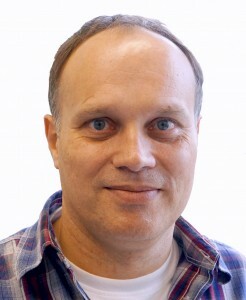 Since 2007, he is member of the Wacker-Chair for Macromolecular Chemistry, lecturer for technical polymerization and leader of different practical training courses.